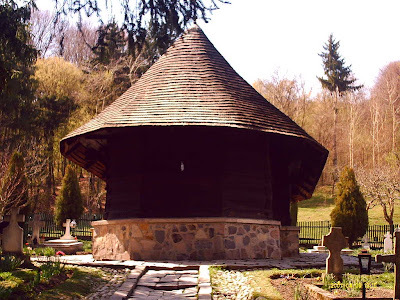 The One Wood Monastery (Dintr Un Lemn Manastirea) in Frincesti, Romania seems tiny and fairly unimpressive, until you realize it was constructed out of the wood from just one Oak tree. 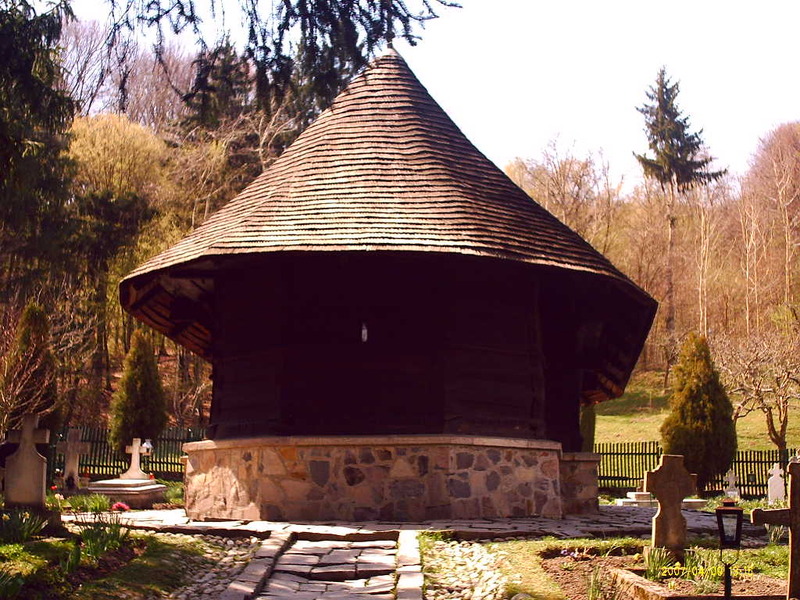 In the early 16th century, a monk made an interesting discovery inside a hollowed oak while walking in the Romanian countryside. 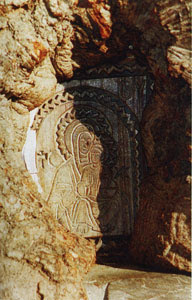 To his amazement, an icon of the Virgin Mary was carved into the interior. The Theotokos then spoke to the monk, telling him to raise a church using only the wood from the icon-emblazoned Oak tree. Another version of the story has a shepherd finding the icon and acting accordingly. 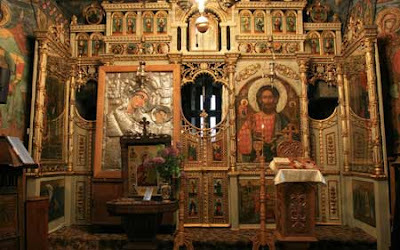 Even the icon itself has been victim to strict scrutiny as to its age and origin, with some claiming that it was a creation of Constantinople era Christian artists or 4th century Greek craftsman. 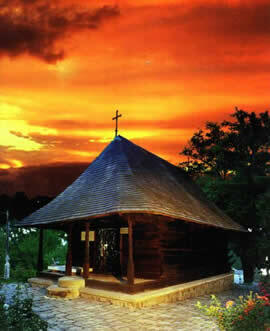 Despite the holy origins of the church, today's church is in fact a recreation of the older building originally constructed. 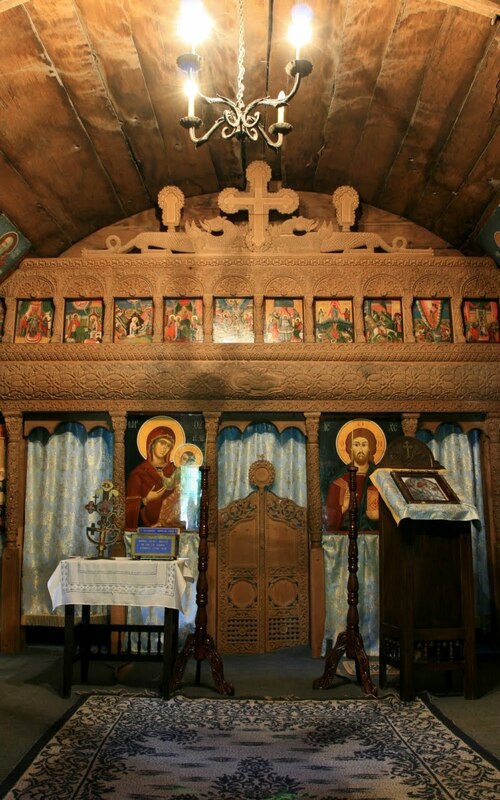 In the 17th century, a fire ravaged the church completely destroying the original Oak building and sparing the icon. 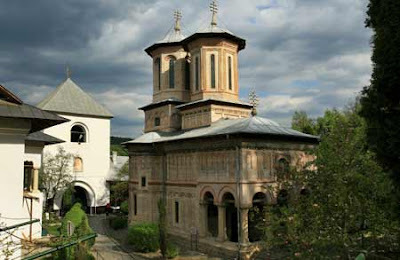 A monastery was soon built up around the area. Today, 50 nuns have dedicated their lives to the holy site. 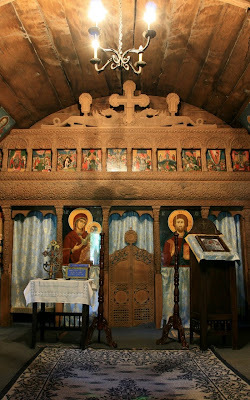 The icon is now housed in a stone church on the premises and is considered the most valuable of the monastery's collections, which also include other icons and old books.